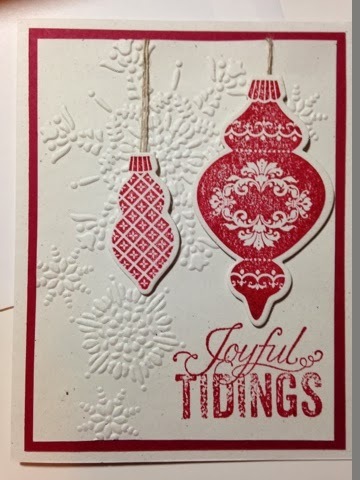 I needed another card for my December 8th class and this is the one I picked! I know it looks "red" in the picture but it's actually Raspberry Ripple. I love the snowflake embossing and often forget about it, so I am glad I remembered it! As you can see on the left, I stamped the outside of my envelope! 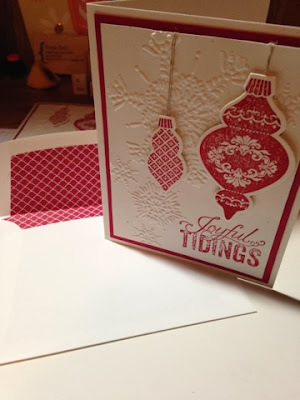 Doesn't that embossing folder give a deep impression? Don't forget the envelope liner! 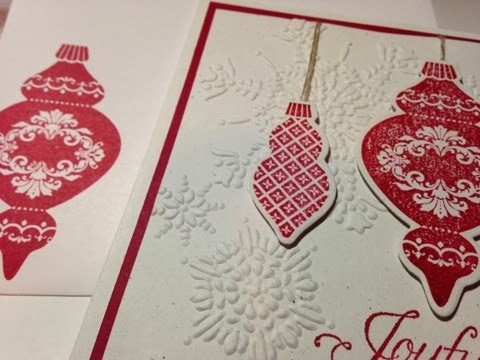 It's the BEST part of making your own cards, making sure the envelope matches perfectly! Do you love this card? You can join us on December 9th from 1-5pm to make this card and 4 others! Email me for more information! See you tomorrow for a thankful post!